Discussion in 'Bonus Spins - Extra Spins - No Deposit Bonuses' started by pooldica, Nov 26, 2013. I heard this bonus is for new and existing players! I hope u all get the Bonus ! I got it and did never made a deposit there. Thanks for posting this pooldica. Thank you pooldica for posting!!! Can't wait to try out this Casino! Please everyone make sure to check for the terms on this free chip. 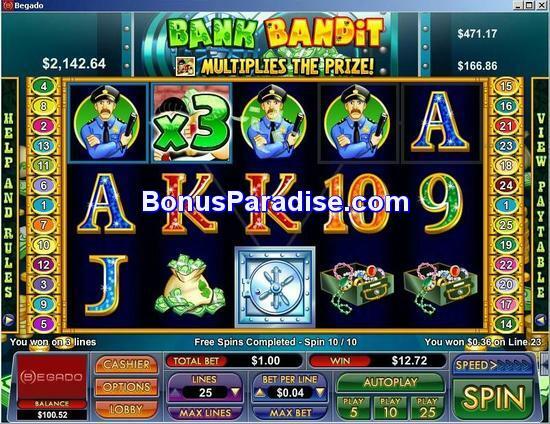 it may be that players who never deposited at Begado Casino will not be able to cashout winnings from the free chip. Thanks for posting pooldica. I love NuWorks software. Just a heads up for everyone. Use the downloaded version for this offer. Wow, look at the winnings I got from my free spins!! Haven't even played my $10 free yet. Let's see if I can make the playthrough and try a cashout. Ty for the code and WTG on your wins, Woot Woot!